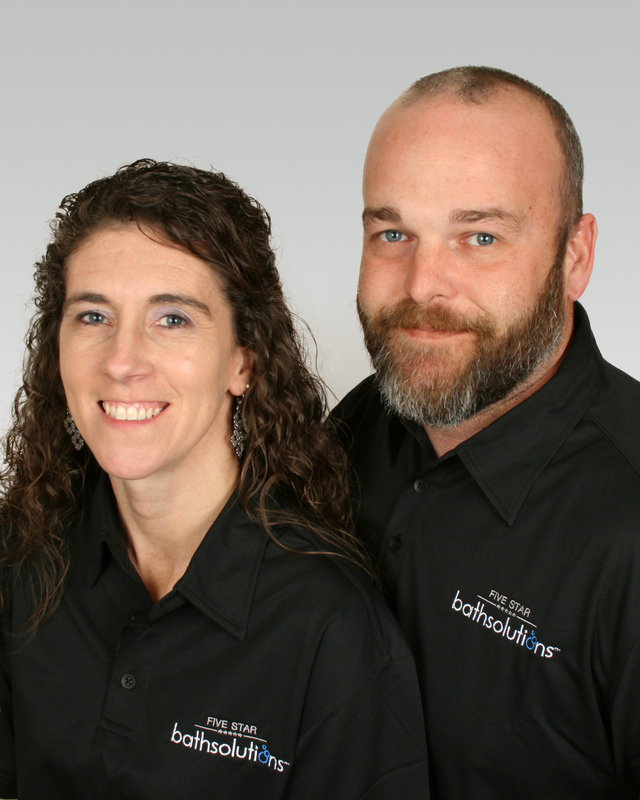 Elizabethtown, Ky. – Husband and wife team, Houston and Devon Logsdon, opened a Five Star Bath Solutions business last month. They now offer bath renovation services to residence in Central Kentucky. Houston worked in the manufacturing industry for the majority of his career. Devon also works in manufacturing specializing in Human Resources (HR). Together they are the perfect team to run their own business. Houston plans to run the day-to-day operations of the business with support from Devon in marketing, office management and HR. Both Houston and Devon have lived in Kentucky their entire lives. They live in Elizabethtown where they are raising their two children, ages 4 and 12. The Logsdon’s enjoy coaching a children’s soccer team, helping others, traveling, working on home projects, and spending time together as a family. Five Star Bath Solutions is a full service network of bath renovation specialists. Our company is focused on delivering the highest quality bath renovation service in the industry. We deliver one‐day bath renovations, shower conversions, bathtub replacements, walk‐in bathtubs and other bath enhancements. With franchise locations throughout the United States and Canada, the Five Star Bath Solutions franchise system provides a home‐based business opportunity in the home remodeling industry for aspiring entrepreneurs. For more information about Five Star Bath Solutions of Central Kentucky please visit: http://www.fivestarbathsolutions.com/locations/kentucky/central-kentucky-ky/.